I woke to find nice, if cool, weather. I'll take that! 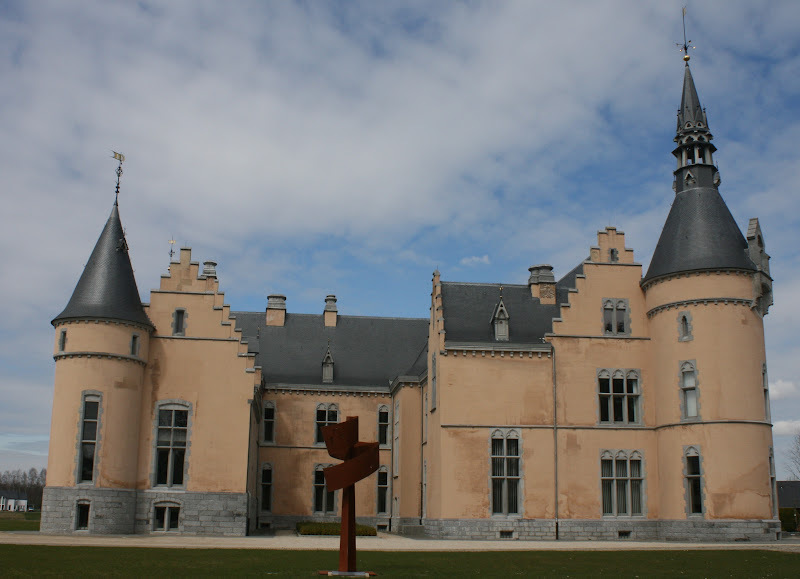 Cycling east from Rocroi, I blundered onto the Meuse River cycle path. 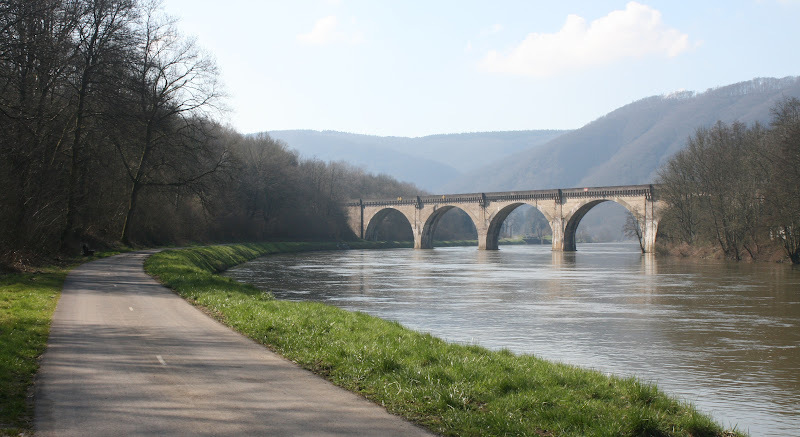 It was a beautiful ride and I followed it south to Charleville-Mézières, which is the capital of the Ardennes. I turned east to Sedan, where there is supposed to be a municipal camping ground. I wasted a long time looking for it - I think it is on the town park, but only later in the summer. I reluctantly continued, and ended up riding late again. By the end of the day, I had covered 110km to reach the Residence du Banel camping ground near Clémency, close to the French/Belgian border. 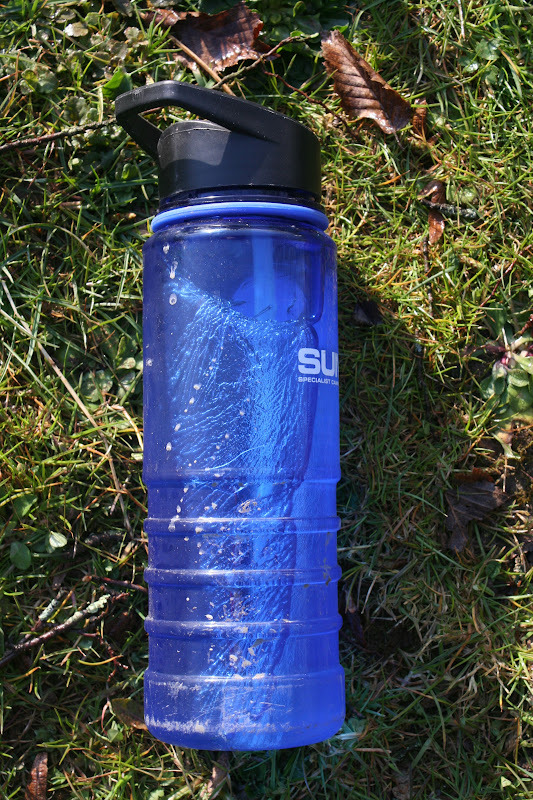 It was freezing cold that night, literally, and I woke to find my water bottle frozen. The owner didn't have any snack food to sell to me, but he took me into the restaurant kitchen and handed me some biscuits and chocolate buttons, which was extremely kind. 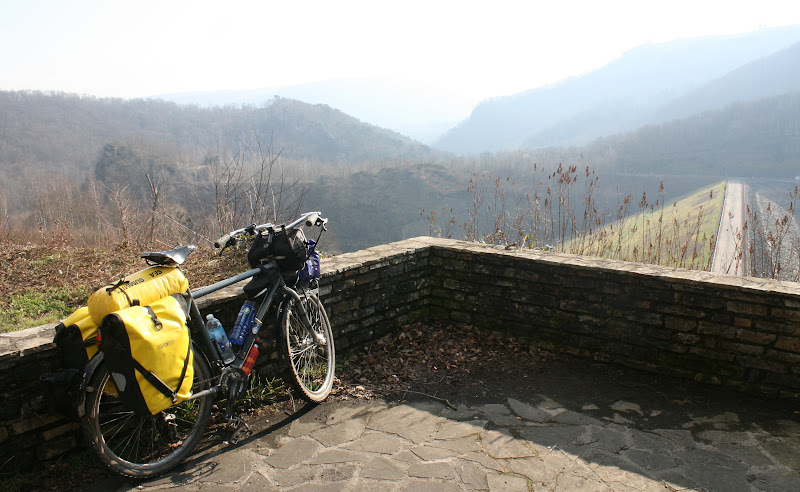 I re-entered Belgium and took a crazy downhill to Williers, which had Roman foundations by the side of the road. 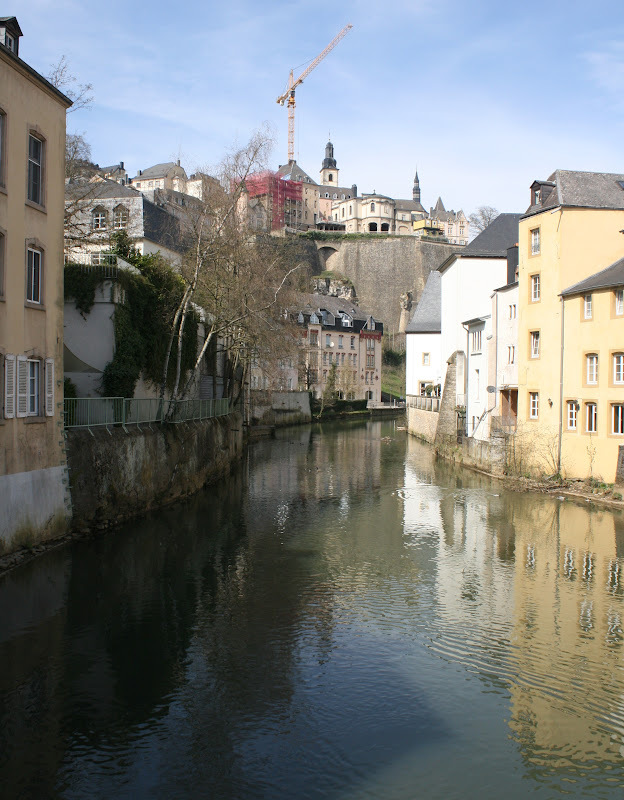 After a day in the saddle, Luxembourg became my fifth country. The Belgian side of the border was peppered with boarded-up and abandoned strip clubs. Perhaps those clubs were illegal in Luxembourg before the EU? 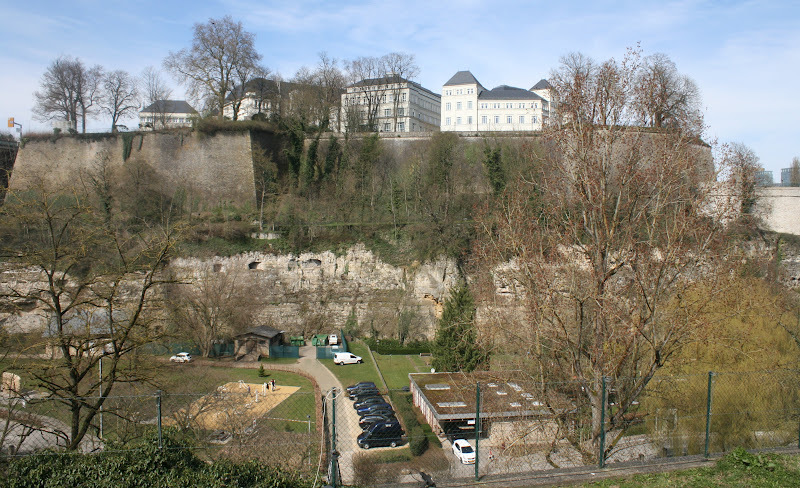 The first camping ground I aimed for was closed, so I ended up at the second, Camping Mamer, almost in Luxembourg city. I took a rest day and caught the bus into Luxembourg. My tablet's firmware crashed and I wasted most of my time in the city finding a repair house to reflash it. 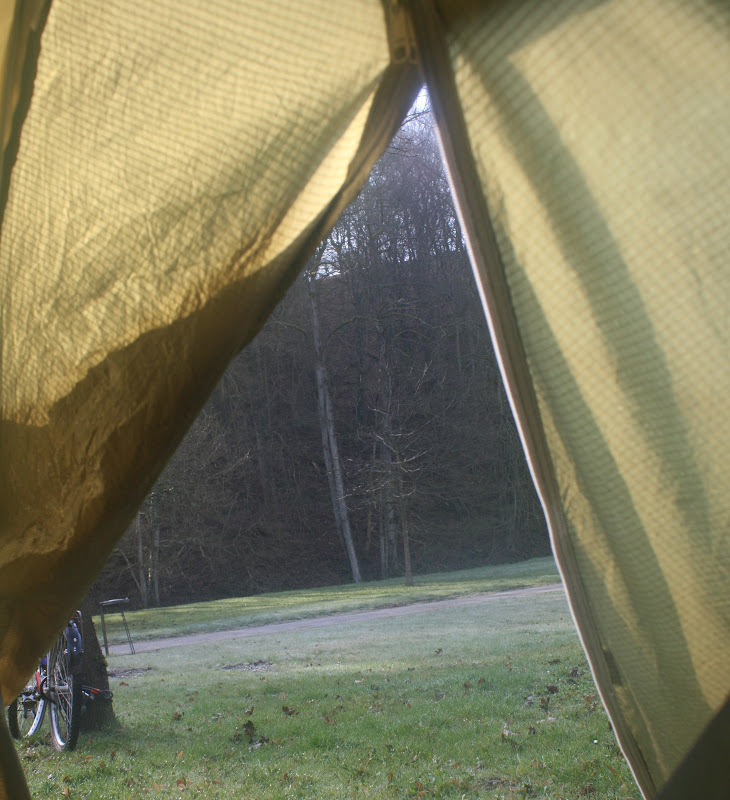 Both nights at the camping ground were very cold and I woke to frosts.